The following introduction is my work, with the formula concerning Christ death and resurrection under the heading of “My Conclusion,” which is a very brief summation of the work originally produced by Sir Robert Anderson over 100 years ago. However, there has been scholarship before and after that come to the same consideration. What follows after that is a short article by Chuck Missler, which utilizes some of the same original work but presented in a brief outline. It is unfortunate that the church at large seems to miss these important issues because of their superficiality in handling God’s Word. However, in these last days, it is individuals such as Sir Robert Anderson and many others that have increased our knowledge based upon the guidance of the Holy Spirit, wherein for the last hundred years this teaching has been available, yet, sometimes hard to find. His original work, “The Coming Prince” was originally published in the 1890s until sometime after World War II. A few decades ago it was republished again displaying insights and considerations which far surpass our current prior insights. What makes the following information so important is that it not only relies on God’s Word, but recorded secular history which cannot be manipulated by religious interest. If we would simply take God’s Word as fact rather than fiction, utilizing the inspiration and direction of the Holy Spirit as we approach world history, there would be many more mysterious biblical questions answered. One of the important reasons why the birth date of Christ is important is in understanding Daniel 9:24-27, which predicts the very day that the Messiah would present Himself to Israel, which we refer to as the “Triumphant Entry”(Please see my essay entitled: “The Preeminence of Christ ~ Part 5 ~ A Prophecy of When the Messiah Would Arrive ~ The Details” ~ LINK, if you do not know what I’m talking about). 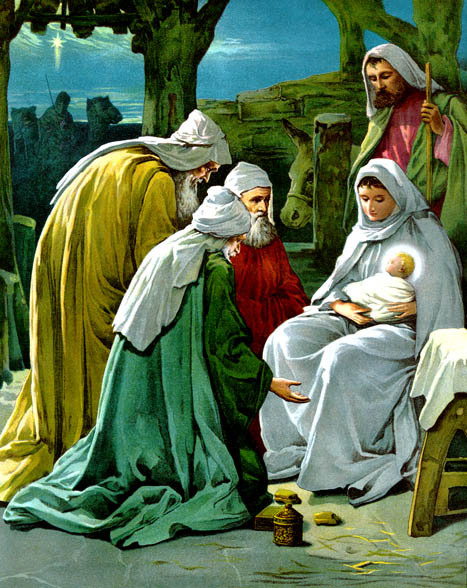 It is quite understandable why the church has seemingly forgotten Jesus’ birth date. The reason why is that while the birth of Christ (Christ being a title, rather than a name; meaning: “anointed of the Lord,” to the unlearned unbeliever this title may not have any special connotations, perhaps referring to any King. However, when used with the particular article, “the,” indicating that it is a singular reference to an individual, that to the Jew is more than a man, more than a deliverer, and more than a governor) is important, it becomes important to a secular world because a prophet, a wise man; yet a mere man was born. However, to the believer, the focus of attention is not on the birth of an individual that the world considers a man, but in the resurrection of a man who was God incarnate. To the world He was a man, to the believer He is divine. This is why the church has always focused on the resurrection, rather than the birth of Christ. It seems like the Holy Spirit engineered it this way in order to keep the churches primary focus on what was most important, the resurrection (Remembering that there are no coincidences within God’s kingdom, either God is in control of everything, and therefore “God,” or He’s in control of nothing. If something can happen outside of His Own Will, how can you trust anything He says, because it may be one of those things that is beyond His own will to do, maybe because we live in a sinful world? NO! This is God’s kingdom, it is His creation; even though it has become sinful because of man, God is still the Boss. This is the basis that man has as a foundation for faith, that nothing can happen to man outside of God’s will. And for those that would say that God simply allows His creation to run it’s own course – they do not pay attention to God’s Word which declares otherwise. In which God’s Word displays prophecy after prophecy wherein God has, and will manipulate time to come out as He would choose; even within a sinful world. This is why you and I can trust Him, not just that He has the will to do what is good, but just as importantly; that He has the ability to do what He says). Everything hinges on the resurrection. There has never been a man who has prophesied his own death, and then resurrection; which would validate his teachings, as Christ has done. The resurrection is a display of the power of God validating Christ’s ministry and words. Yet, there is also prophetic considerations concerning Christ’s birth, where in time prophecies will come into play; which would be another reason why God would hide in plain sight this knowledge, so that the creation would not always know what the Creator was doing in advance. Lucifer is another good example why God would do this. He knows the Bible probably better than any human, so how does God fulfill His Will, as told in advance, when His enemy has His playbook in his hand. It is God displaying His divinity, as also through His intelligence that He hides in plain sight those things that He wishes to reveal in time, yet at His own good pleasure. And as previously stated, using prophecy God hides in plain sight His plans, which give reasons to have faith in God; one of the two major Biblical prophets, Daniel (The Old Testament great prophet, and one of the New Testament great prophets, John; wherein there was a special notation that they are both “loved” of God ~ Daniel 9:23 and John 13:23. Both of which have special prophecies concerning the End Days, more than any others; it is Daniel who speaks about when the Messiah would be revealed on the stage of time. This is why so many understood that it was in the days of Jesus, that the Messiah would soon appear), tells us that in the last days God will increase knowledge. Knowledge that man will use to his own ends; however, knowledge that God uses to inform His followers in understanding God’s Word as never before. Many have interpreted this Scripture to indicate that knowledge in general, and therefore technology in particular would increase in the last days, which is true. If we read this Scripture from the Septuagint translation of the Old Testament, the Greek translation that was used primarily by Jesus (Except while reading the Hebrew text in the synagogue or temple, or certain quotations ~ however, most of the time Jesus quotes the Greek Septuagint translation of the Old Testament, therefore validating it – which also explains why many times a New Testament quotation of the Old Testament sounds different than its original Old Testament wording. In the New Testament, Jesus and the apostles were quoting from the Septuagint Greek Old Testament, while you and I turn back the pages of our English translation of the Bible, and we read the narrative according to the Hebrew Masoretic text – therefore the to sound different, because the translations are different), the word here for “knowledge” is the Greek word gnosis (G1108), and means “knowledge,” “science,” which would be a reference to our general increase in knowledge, which would include technology. Yet, the word has a dual meaning which also implies “to know,” or “to perceive,” which would represent an understanding of a particular nature – singular in its meaning, which according to the context, would be God’s Word. Therefore, this expression very easily refers to both knowledge which is general (conntatively), and knowledge which is specific (denotatively) ; as the Greek grammar allows. The word “increased” is the Greek word plēthúnō; from plethos (G4128), which means “make multitude, “to make full,” hence, “to multiply.” Indicating that the increase is not minimal, not even great; but is to the extent that it is almost complete – to multiply and make full. The reason this passage become so important concerning prophecy in the “Last Days” (End Times); is that during the last two hundred years or so, more has become known about God’s Word than at any other time in history. Due to archeological digs over the last few centuries; we have discovered many manuscripts of the Bible which are also cross-referenced in other languages, giving us a much more in-depth knowledge concerning the Hebrew and Greek words used in the Word of God. You and I have a greater ability to open our Bible, word studies, Bible dictionaries, Bible commentaries, and Greek New Testament’s, Greek Old Testament, and Hebrew Old Testament (All three in their original language ~ I’m referring to Byzantine manuscripts which make up the “Textus Receptus,” as well as the “Majority Text” manuscripts; not the “Alexandrian Codices” [sometimes referred to as the “Eclectic” manuscripts] which are defiled, and introduce many errors – I know this is controversial. I used to be a follower of James White and Bruce Metzger, yet through thorough original research over many decades have come to see the error of these translations that have been found since the early 18th century. If anybody is interested in the subject of Bible translation, rather “Lower Criticism” [the original form of Bible study concerning translation, where the focus was on “what” God’s Word had to say] or “Higher Criticism” [which came after the Enlightenment from the German translators who did not believe in the inspiration of the Scripture, or the deity of Jesus Christ. Those that introduced a different type of Bible examination, following after Tischendorf, then later Westcott & Hort, then Eberhard & his son Erwin Nestle, and now today Bruce Metzger; wherein the focus is on “who” wrote the individual books – which mandated that the Scriptures were not inspired of God, but written by man]; please let me know. And I am more than willing to publish these well-documented essays. And I’m not referring to the King James ONLY extremist that abuse integrity stating that the English translation is the only inspired book of God, and that the Greek manuscripts from which they came, are not.) and learn more about what God’s Word truly means, that any other time in man’s history. In fact we are so inundated with knowledge that the old adage, “familiarity breeds contempt” has unfortunately come into play, with many Christians not utilizing the vast knowledge concerning God and His Word that are free to any that would have an Internet connection; unlike our forefathers, who starved for this knowledge of God and His Word. For over 150 years this question is been answered, yet few are aware. I personally became aware of this subject over 30 years ago; please check it out for yourself. Look up the Scriptures and the secular history; because prophecy in “Last Days,” and especially the faith that can be gained by coming to understand Daniel 9:24-27, are immense. Before I present Chuck’s article which is very thorough concerning secular history, let me give the simplest proof I know of based upon Luke 3:1, which can help determine when Christ was crucified. If we know when Jesus was crucified, and we understand that He was 33 and half years old when this occurred, we can determine when He was born by counting backwards 33 1/2 years. This is the basis for Sir Robert Anderson’s book “The Coming Prince,” published in the 1890s. “Now in the fifteenth year of the reign of Tiberius Caesar, Pontius Pilate being governor of Judaea, and Herod being tetrarch of Galilee, and his brother Philip tetrarch of Ituraea and of the region of Trachonitis, and Lysanias the tetrarch of Abilene. Luke 3:22, is where Jesus enters the scene, at the same time. To summarize, Sir Robert Anderson’s work; according to Luke 3:1, Jesus started his Ministry during (in) the 15th year of Tiberius. Tiberias was appointed during the year 14 AD (Augustus died August 19, 14 AD), therefore Jesus started his public Ministry in the year 29 AD. We know that according to scripture Jesus was crucified on the fourth Passover after starting his public Ministry by utilizing the four Gospels, 3 are which are synoptic (Matthew, Mark, Luke) and can be aligned chronologically. Therefore Jesus was crucified on Passover, the 14th of Nisan (Hebrew calendar) in the year 32, which would’ve been April 10 in the year 32 AD on the Gregorian calendar. Jesus being 33 1/2 years old on this date, counting backwards would mean that He was born 1 BC in the autumn, around the first of the Hebrew month, “Tishri,” at the last of the month September on the Gregorian calendar, right around the “Feast of Trumpets. This paragraph is probably one of the most insightful determinations to affect the Christian world, if one also consider Sir Robert Anderson’s of valuation of Daniel 9:24-27; which presents the day that the Messiah would declare himself on the 10th of Nisan in the year 32, which again validates the above determination. It was but a few decades ago that I ran across the work of Sir Robert Anderson, and came to understand the meaning of Daniel chapter 9:24-27, and how it mashed with the above understanding of when our Lord was crucified, yet also when He was born. It was these considerations of God’s Word that transformed my faith in ways that I cannot communicate. The stark reality of these prophecies that were fulfilled by our Messiah are beyond human dispute, and therefore have grown my faith based upon God’s Word, that time can never diminish. Each year at Christmas we celebrate the birth of Jesus Christ. After the New Year, we struggle to remember to add a year as we date our checks, which should remind us that the entire Western World reckons its calendar from the birth of the One who changed the world more than any other before or since. Yet, it is disturbing to discover that much of what we have been taught about the Christmas season seems to be more tradition than truth. Most serious Bible students realize that Jesus was probably not born on December 25th. The shepherds had their flocks in open fields, which implies a date prior to October. Furthermore, no competent Roman administrator would require registration involving travel during the season when Judea was generally impassable. If Jesus wasn’t born on December 25, just when was he born? Although the Bible doesn’t explicitly identify the birthday of our Lord, many scholars have developed diverse opinions as to the likely birthday of Jesus. The early Christian church did not celebrate Jesus’ birth, and therefore the exact date was not preserved in festivals. The first recorded mention of December 25th is in the Calendar of Philocalus (AD 354), which assumed Jesus’ birth to be Friday, December 25th, AD 1. This was subsequent to Constantine’s Edict of Toleration in AD 313, which officially ended the government-sanctioned persecution of the Christians. The date of December 25th, which was officially proclaimed by the church fathers in AD 440, was actually a vestige of the Roman holiday of Saturnalia, observed near the winter solstice, which itself was among the many pagan traditions inherited from the earlier Babylonian priesthood. The year of Jesus’ birth is broadly accepted as 4 BC, primarily from erroneous conclusions derived from Josephus’ recording of an eclipse, assumed to be on March 13, 4 BC, “shortly before Herod died.” There are a number of problems with this in addition to the fact that it was more likely the eclipse occurred on December 29, 1 B.C. Considerable time elapsed between Jesus’ birth and Herod’s death since the family fled to Egypt to escape Herod’s edict and they didn’t return until after Herod’s death. Furthermore, Herod died on January 14, 1 BC. Tertullian (born about 160 AD) stated that Augustus began to rule 41 years before the birth of Jesus and died 15 years after that event. Augustus died on August 19, 14 AD, placing Jesus’ birth at 2 BC. Tertullian also notes that Jesus was born 28 years after the death of Cleopatra in 30 BC, which is consistent with a date of 2 BC. Irenaeus, born about a century after Jesus, also notes that the Lord was born in the 41st year of the reign of Augustus. Since Augustus began his reign in the autumn of 43 BC, this also appears to substantiate the birth in 2 BC. Eusebius (264-340 AD), the “Father of Church History,” ascribes it to the 42nd year of the reign of Augustus and the 28th from the subjection of Egypt on the death of Anthony and Cleopatra. The 42nd year of Augustus ran from the autumn of 2 BC to the autumn of 1 BC. The subjugation of Egypt into the Roman Empire occurred in the autumn of 30 BC. The 28th year extended from the autumn of 3 BC to the autumn of 2 BC. The only date that would meet both of these constraints would be the autumn of 2 BC. Another approach in determining the date of Jesus’ birth is from information about John the Baptist. Elisabeth, John’s mother, was a cousin of Mary and the wife of a priest named Zacharias who was of the “course” of Abijah (Priests were divided into 24 courses and each course officiated in the Temple for one week, from Sabbath to Sabbath). When the Temple was destroyed by Titus on August 5, 70 AD, the first course of priests had just taken office. Since the course of Abijah was the eighth course, we can track backwards and determine that Zacharias would have ended his duties on July 13, 3 BC. If the birth of John took place 280 days later, it would have been on April 19-20, 2 BC (precisely on Passover of that year). John began his ministry in the 15th year of Tiberius Caesar. The minimum age for the ministry was 30. As Augustus died on August 19, 14 AD, that was the accession year for Tiberius. If John was born on April 19-20, 2 BC, his 30th birthday would have been April 19-20, 29 AD, or the 15th year of Tiberius. This seems to confirm the 2 BC date and, since John was five months older, this also confirms the autumn birth date for Jesus. Elisabeth hid herself for five months and then the Angel Gabriel announced to Mary both Elisabeth’s condition and that Mary also would bear a son who would be called Jesus. Mary went “with haste” to visit Elisabeth, who was then in the first week of her sixth month, or the fourth week of December, 3 BC. If Jesus was born 280 days later it would place the date of his birth on September 29, 2 BC. If Jesus was born on September 29, 2 BC, it is interesting to note that it was also the First of Tishri, the day of the Feast of Trumpets. Written by: KOINONIA HOUSE, Founder: Chuck Missler, Coeur d’Alene, Idaho 83816, USA, 2008, eNews, electronic media. ← Question – What do you think about this Statement?